The third and final installment of the Life of Muhammad documentary aired on BBC Two recently presented the latter stages of the Prophet Muhammad’s life and explored the extent to which his life and actions are reflected in today’s world. While the episode clearly addresses several key issues deemed to be the most controversial aspects of his life, it does not fall into the conventional trap of examining the 63 years of the life of the Prophet from the vantage point of one or more of these events alone and in isolation. Although the same clichéd images permeating Western television screens, such as placards and self-recorded messages of extremists were not absent, the documentary avoids towing the Western media line, and lucidly highlights the stark disparity between the views and actions of such Muslims and the Prophet himself, clearly disassociating him from the abhorrent acts which are committed with his name. Rather, while not shying away from the points at the center of the debate used by critics of Islam such as the number of his wives, the age of his wife ‘Aisha when they married, and the nature of the punishments established for crimes such as stealing or adultery, the documentary manages to thread all these pieces on the single most important strand weaving his life – his role as a Prophet and eternal leader of the people. The contrast it presents between both the refugee, penniless individual who was driven out of his home and the city of his birth, and the most powerful leader in Arabia and conqueror of that same city only a decade later, is instrumental in unveiling the most important dimensions of the Prophet Muhammad’s character and person. Despite this dramatic change, the Prophet retained the same humility and simplicity that had marked his personality and life to date. Although the same clichéd images permeating Western television screens, such as placards and self-recorded messages of extremists were not absent, in addition to interviews with extremists, the documentary avoids towing the Western media line, and lucidly highlights the stark disparity between the views and actions of such Muslims and the Prophet himself, clearly disassociating him from the abhorrent acts which are committed with his name. This is definitely a first for Western audiences. The issue of the veiling of Muslim women was also covered with the face veil specifically, contentious across the Western world, presented not as a black and white one – as is often the case in the media portrayal – but with its nuances. Audiences become aware that this issue, among Muslims themselves, is a matter of interpretation and not based on definite Divine injunction. While there were shaky moments during the first two episodes, the documentary redresses these and succeeds in presenting the Prophet Muhammad’s life for its own sake. In the first two episodes the life of the Prophet was presented through the lens of modern day politics and events – all negative. This episode significantly inverts this trend, presenting the modern day issues through the lens of the life of the Prophet Muhammad. This is a very welcome change. While it is clearly impossible to cover everything pertaining to the life of Prophet Muhammad in a matter of three one-hour hour episodes, this episode confidently addresses issues that have conventionally not been discussed in mainstream Western media and very clearly turns audience stereotypes and expectations on their head. The space given to Sufism, the spiritual dimension of Islam and the focus on positive action and working to reform society is achieved with direct reference to the life of the Prophet himself. Again, and very refreshingly, while the views, traditions and practices of modern day Sufis are presented, the point of departure is the Prophet’s life itself. The notion that the Prophet consistently strived to create and ideal society and not wait for Paradise is one that is arguably as pleasantly surprising to Muslim audiences – who are not at all used to positive portrayals of their Prophet by Western media outlets – as it is for Western ones. All in all, episode three is a very successful conclusion to the series. Where it would have been more than easy to pursue the same line that Western audiences have almost come to expect when it comes to anything Islam, the episode clearly and constantly challenges audience assumptions and expectations. 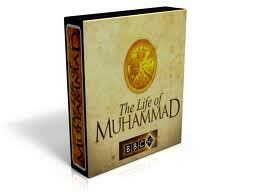 The most important element here is that the point of reference is the Prophet’s life in and for its own sake. The key themes through which the Prophet Muhammad’s life were presented, namely the transformative mission of the Prophet Muhammad’s life, his pursuit of equality and justice for all, his emphasis on positive action and his unreserved campaign of non-violence, all work to make this series a first at so many levels. Most striking perhaps, of all the evaluations which Rageh Omaar presents, is the notion that the Prophet Muhammad’s “ultimate victory came through peace and not through conflict”, thus leaving one the greatest misconceptions about his life in tatters. Please type '372' into this field. At What Age did Aisha Marry the Prophet?